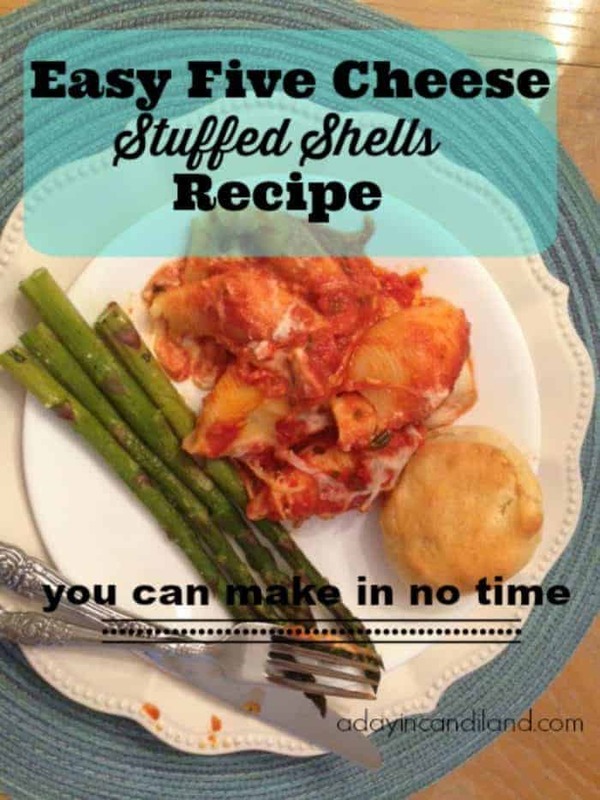 Try this easy stuffed shells recipe next time you want to make a hearty dinner and the secret is they will think it took hours, but it doesn’t. Then serve it up with some beautiful asparagus for a delicious meal. This weekend I needed to make dinner for family coming to town. I needed something that would fill them up and taste great. 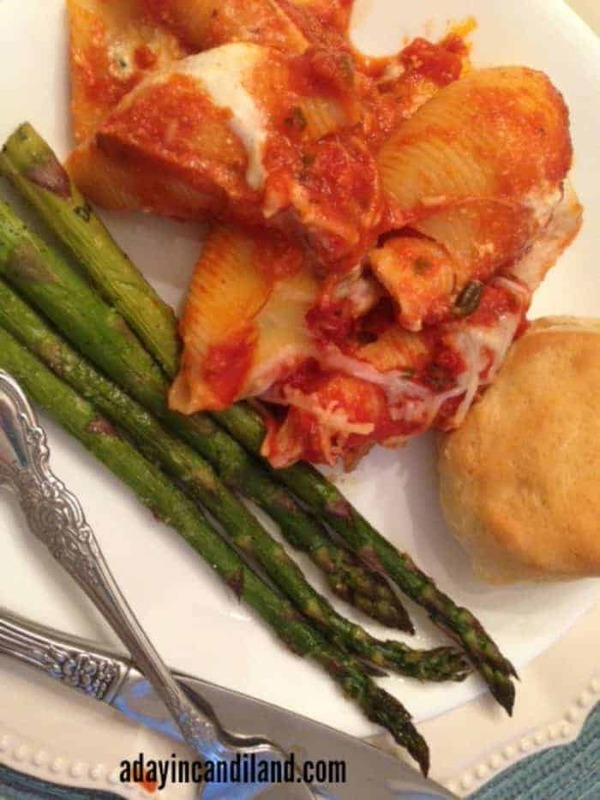 I decided to make an easy five cheese jumbo stuffed shells recipe with roasted asparagus. I knew my husband would be thrilled, and I was right. This Italian inspired pasta meal comes together so easy and most of the time is in the baking, but we had it on the table in just a short time. I started with two jars of Bertolli® Five Cheese sauce. In addition to the cheese I add in the shells, I get cheese in the sauce too. So much more flavor than regular marinara. Find the rest of the recipe below. For the Asparagus, I lined a cookie sheet with aluminum foil and placed the cleaned and trimmed asparagus on it. Then I drizzled olive oil, salt, pepper, garlic powder and Parmesan cheese on top. I baked it for 13 minutes at 425 °. Place shells in salted boiling water in a large pot for 1/2 the time listed on the box. Drain and rinse in cool water. In a large bowl, mix the Ricotta, salt, pepper, basil, egg, Romano and 1/2 of the Parmesan. In a 9 X 13 pan place 1/2 of one jar of sauce in bottom of pan. Fill the shells with cheese mixture and place face down lined up in pan. Add remaining sauce from first jar on top. Continue to add shells and use 2nd jar of sauce on top and sprinkle Mozzarella cheese and remaining Parmesan Cheese. Quick Tip: After mixing cheeses in a bowl, fill a pastry bag with mixture. Then fill each shell. This will cut your time in half. If you don’t have pastry bags, you can use a large baggie and cut a hole in the bottom corner. I served this 5 cheese stuffed shells with roasted asparagus and some dinner rolls. We were able to eat off of it for two meals and that is always a good thing. 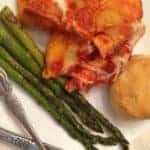 Stop by my facebook page and share your favorite family dinner. 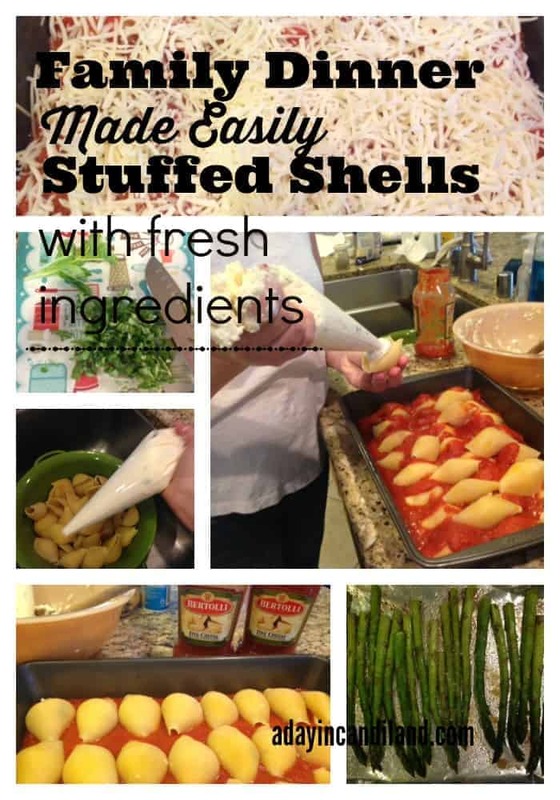 If you enjoyed this easy stuffed shells recipe visit some of my other popular recipes. I grew up in a big Italian family, so meals like this are a staple in my life. OMG yours looks so YUM! This recipe looks SO yummy. 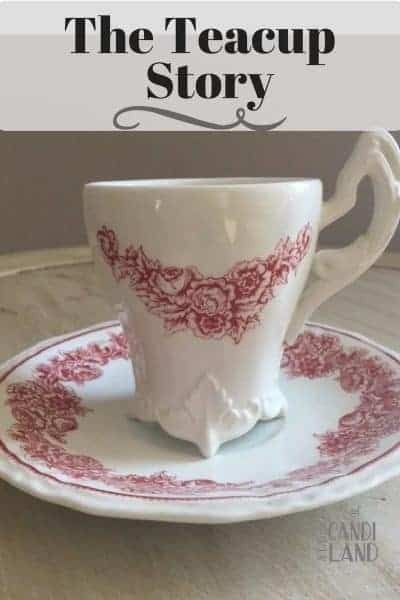 The hubbie would love it! These look delicious and not that hard to make! I thought stuffed shells would be a lot more complicated but these are worth a try. Thanks! YUM! 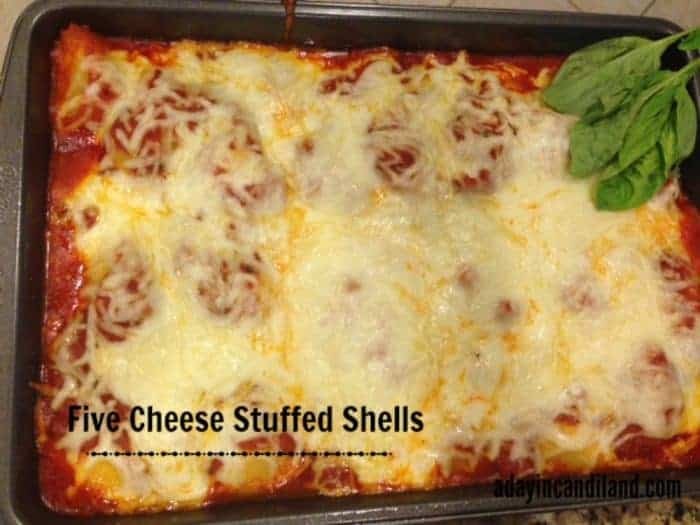 These stuffed shells look so yummy! 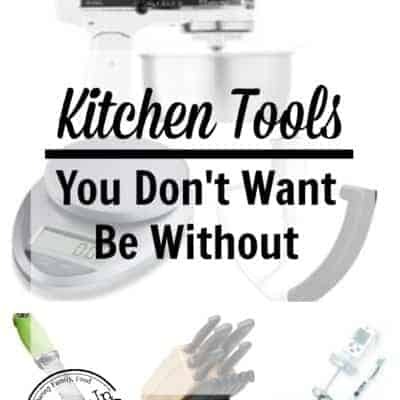 They also look really easy to cook – which is a “must” for my meals! And I can freeze half of them so win-win! I love this recipe. Excited bc I can make it gluten free! Good incorporation of veggies with your carb! This sounds absolutely amazing! I really love cheesy pasta dishes and this seems like just the ticket! Only my oldest and myself like Italian food and I really try to stay away from pasta. SO once in a great while as a treat for my oldest, I will make him his own pan of lasagna or just last weekend I made him an entire pan of stuffed shells. He ate it for dinner all week! These look good and super easy to make. Maybe I should teach him this recipe! Gosh..this looks so delicious! I love Italian food and everything about it I will say yes -:) I’ve never tried the combination of pasta and Asparagus, but I bet they complimenet each other. I love stuffed shells. My mom used to make these for me as a kid only they had broccoli in them. So good! I only wish my son liked ricotta so I could make them now. Oh wow. These look so good. I can’t wait to try them out and see what the family thinks. Thanks for sharing. Thats one big pasta pan! That looks delicious! I need to make pasta more often than I do, we try to stay away from it otherwise we would be eating it on a daily basis! I made this last night and my husband LOVED it! It’s going in our weekly rotation. I admit that I’m horrible when it comes to making Italian food because I’m not a big fan of it. 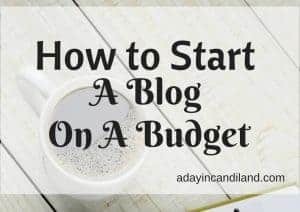 Yours look so good and easy! Can’t wait to try it! Yum! This looks awesome! I am always afraid to make things like this because it seems complicated, apparently not so complicated! I am going to have to try it for this weekend! This looks really tasty and pretty easy to make – the best part. The more cheese the better is what I always say. This sounds delicious and seems pretty easy to make! I’ll have to try this. These look delicious and I would LOVE to add them to our weekly menu! I know my son would love the shells, he always wants the shell “Mac N Cheese.” Maybe this would finally entice him to eat something other than Kraft dinner. Omg these stuffed shells look amazing!!!!! So giving your recipe a try! I’m sure the family will love them. Yum this definitely my type of food I think j may try this as soon as Saturday thanks !! Love it !! This looks like such a good dinner idea. I’m going to pin it to my food to try board for a future dinner idea. This recipe could easily become a family favorite! YUM! Wonderful! I will be making this easy dish a lot! I love noodles.